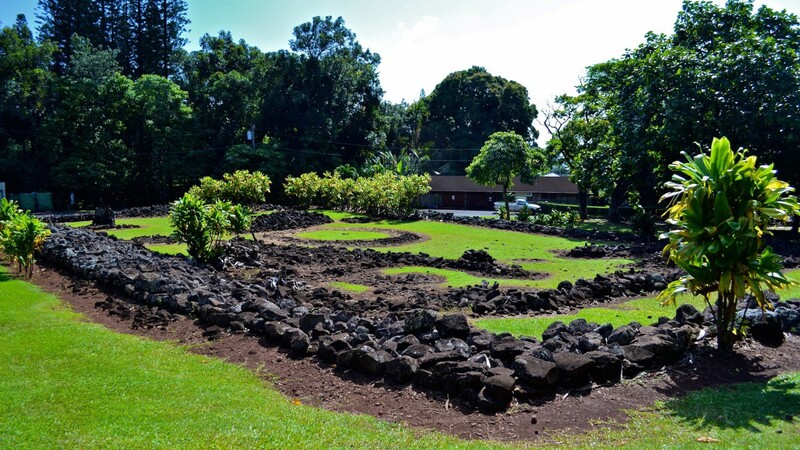 * ‘Aiea Loop Trail is part of the Keaiwa Heiau State Recreation Area. 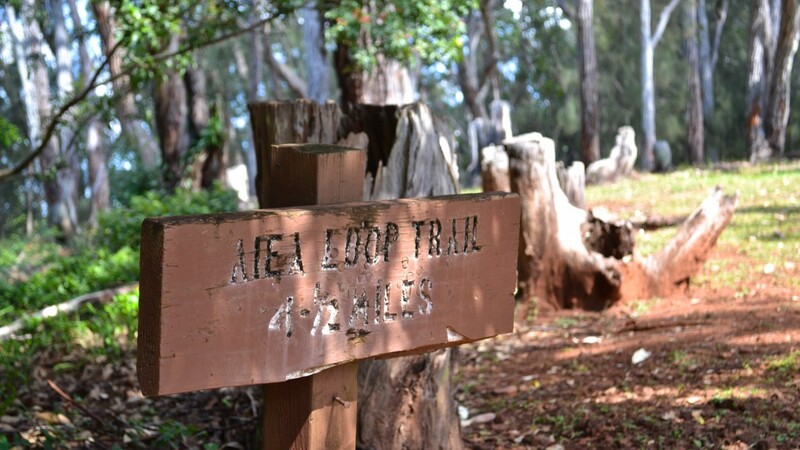 The ‘Aiea Loop Trail is an enjoyable and family-friendly hike located in the Keaiwa Heiau State Park. 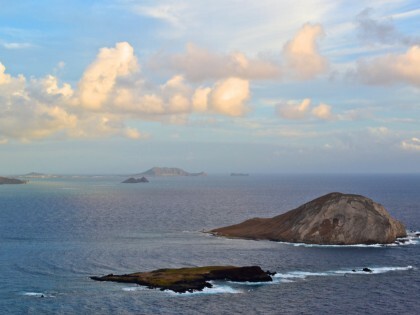 The trail offers some different breakaway views, including vantage points of southern O’ahu and a chance to look out over the H-3. The scenery changes throughout the hike between eucalyptus trees, ohi’a, and pines, as the trail navigates the slight elevation changes. The loop is also a great place for birdwatching. 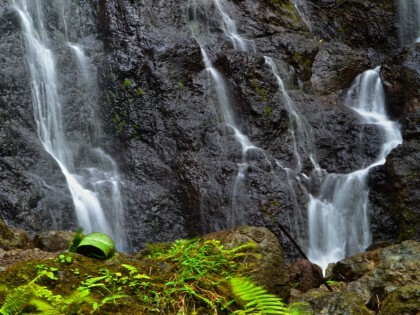 While not the most thrilling hike on the island, it is a peaceful way to spend a couple hours of your day enjoying the outdoors. 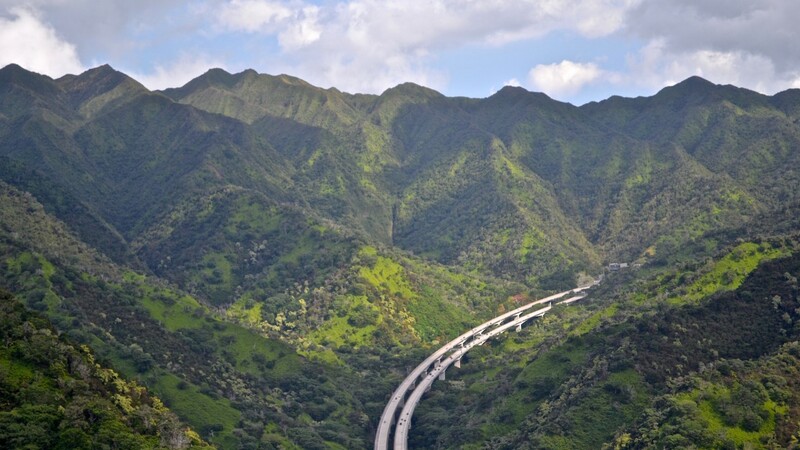 By car: From the Waikiki area, take the H-1W to the H-201W. Take the Stadium Aiea exit onto Moanalua Hwy (Route 78). Turn right onto Aiea Heights Drive. 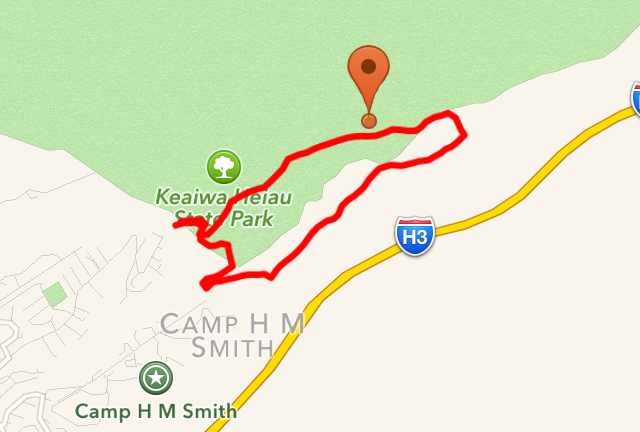 Then turn left to stay on Aiea Heights Drive and follow this road until you enter Keiwa Heiau State Park. Drive up to the top of the hill to the back parking area. The trail head will be off to your right (if you are facing uphill). By bus: From Ala Moana Center, take Routes A, 40, or 42 to the intersection of Salt Lake Bl and Kam. Hwy. Transfer onto the 74 until the intersection of Hoapono and Aiea Heights Drive. Walk almost a mile along Aiea Heights Drive until you reach the park.